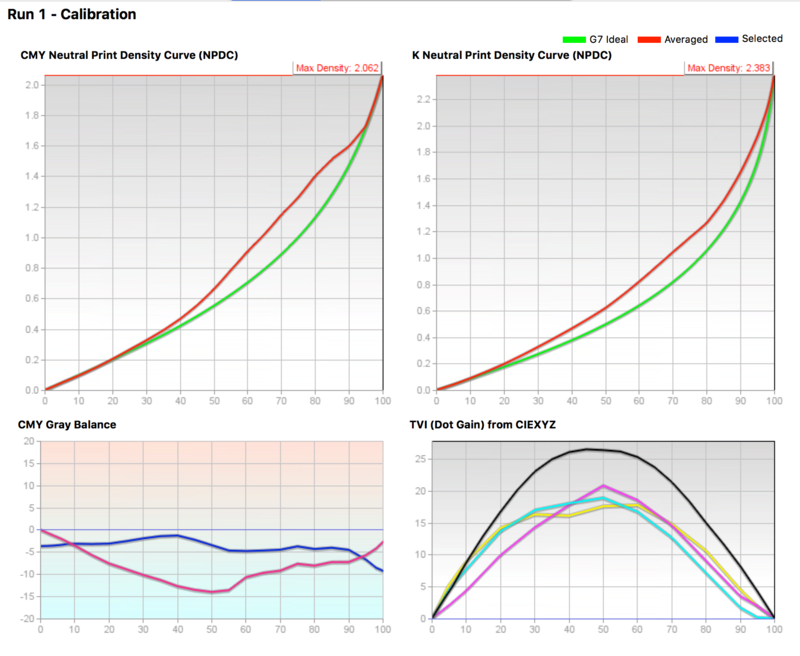 Like the VERIFY Tool, you have easy access to prior calibration sessions including subsetting into presses / customers / etc. For some printing systems a target smaller that the venerable P2P is sufficient for G7 calibration. Curve4 supports "miniP2P" and "microP2P" targets with as few as 96 patches. If you've only run an IT8, ECI2002 or other non-P2P target, Curve4 can generate the information it needs from the supplied patches. It may not have the same level of accuracy as that provided by a P2P target but for many printing systems it'll work just fine. 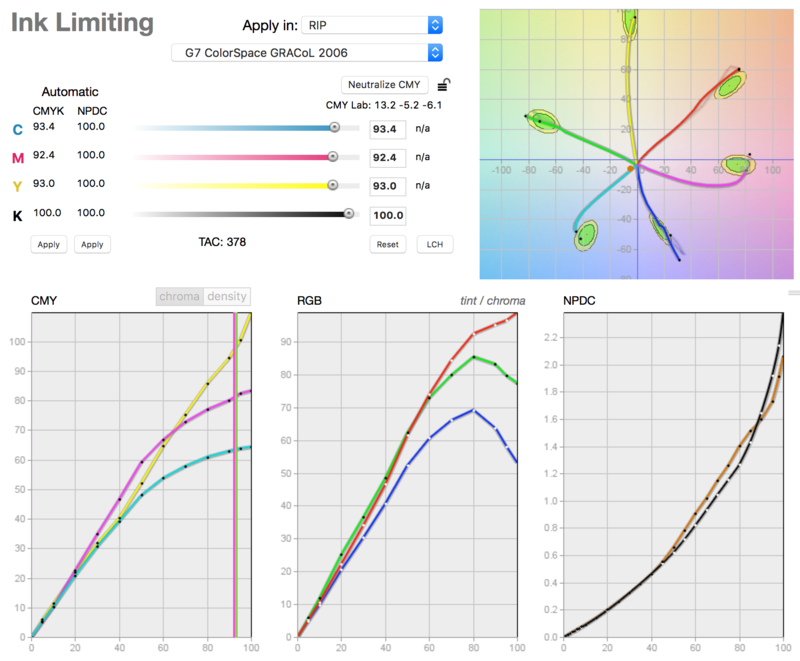 Curve3 used Percent ΔE to calculate calibration of special ink curves. Since then, the Idealliance Print Properties group has settled on a newer, similar method called Spot Color Tone Value. Curve4, of course, fully supports this new method. Up to now, Curve has never altered the 100% level of any ink channels. For offset printing, this is the recommended method. But wth inkjet printing, where the gamut tends to be larger and the mass tone effect can cause significant hue shifts as ink density increases, limiting ink channels can be useful. Gray balance works better when the 300% CMY patch is close to neutral. Curve4 helps bring that CMY combination under control, improving gray balance and tonality in the process.